This is a complete manual on how to follow the Motivating Health weight loss program and succeed. 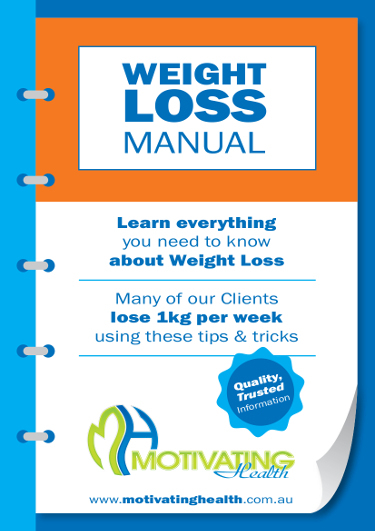 The contents of this manual has changed lives and fulfilled dreams for many who had given up on the dream of losing weight. 35 pages of instructions and secrets that we use in clinic. 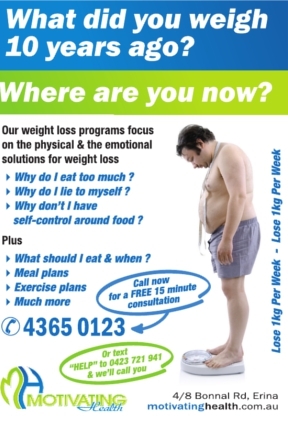 This is a genuine step by step instructional on what to do to succeed at weight loss. 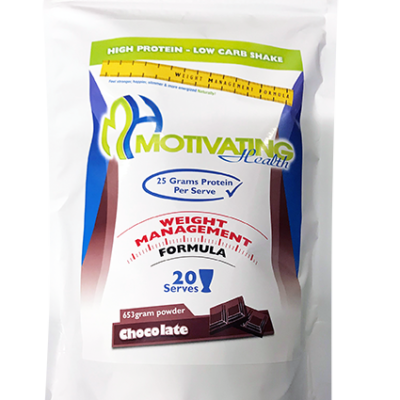 FREE BONUS: Get 1 month free access to the (private Facebook) Motivating Heath Weight Loss group. It’s simple, follow the plan and get what you want. 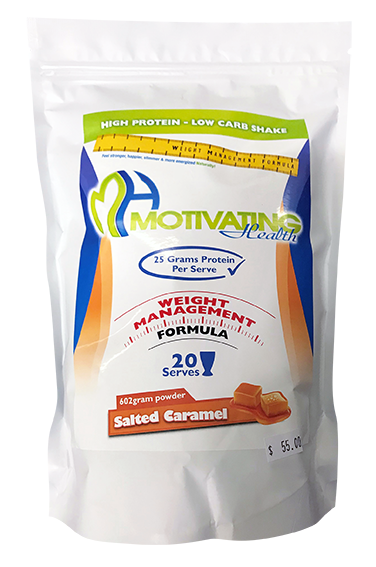 Just a quick note to thank you for introducing me to a fantastic weight loss product named MOTV8 SHAKE. 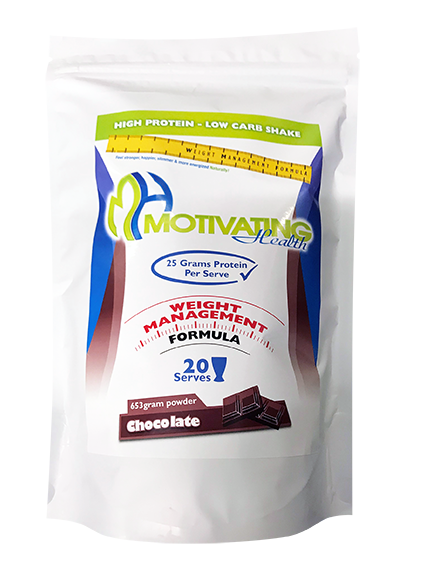 I have been using MOTV8 high protein shake for the past 12 months with fantastic weight loss result of 20 Kilos. This fantastic product has left me feeling satisfied and not craving for other foods, more energy and my friends cannot believe how well I look. I was amazed that the product is so easy to use, just mix 1 scoop of powder in water and shake in a container ready to drink with no lumps. The flavors are delicious – Chocolate, Choc Honeycomb and Vanilla. 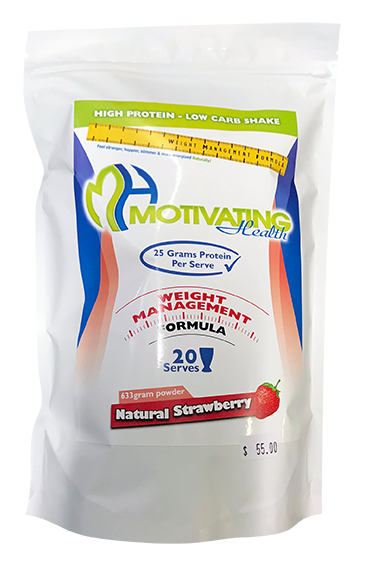 I have used other products in the past but have found MOTV8 Shake to be the best and also great value for money. I have also appreciated the great customer support that you have provided to me. 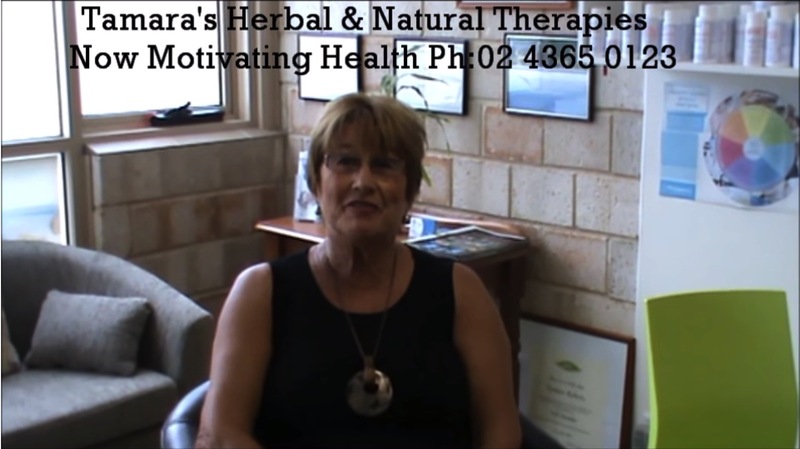 Thank you once again for your assistance in getting my health back to where I wanted it to be.